Vietnam’s authorities are actively pushing negotiations with Australia in a bid to export frozen raw shrimp to the country, where there is great demand for this kind of product. According to the Vietnam Trade Office in Australia, the Australian market has a huge demand for seafood, with imports increasing sharply in recent years from US$868 million in 2011 to US$ 1.6 billion in 2015 (up 84%). Vietnam is currently among the four largest suppliers of seafood to the Australian market, after Thailand, China and New Zealand, but it only accounts for 11.2% of the market share. Among seafood, shrimp is consumed the most in Australia, with annual consumption of up to 50,000-60,000 tonnes. 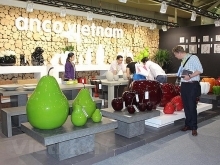 In the last five years, Vietnam has always been a major shrimp exporter to Australia. However, due to stringent regulations from the destination country on shrimp and shrimp products, Vietnam currently only exports boiled shrimp or breaded shrimp with spices, but not frozen raw shrimp, to Australia. Meanwhile, demand for frozen raw shrimp is much larger in this market. According to Deputy Minister of Agriculture and Rural Development Vu Van Tam, who paid a working visit to Australia recently, the issue was discussed during his meeting with officials from the Australian Department of Agriculture and Water Resources. Tam said that in the past few years Australia’s market accounted for a relatively large proportion of Vietnam’s seafood exports, with shrimp bring the largest item among seafood products. However, in 2015, shrimp exports from Vietnam to Australia decreased by 25.6%, and they continued to decrease this year compared to last year. There is currently no country that can export fresh shrimp to the Australian market. Vietnam needs to enter this market to assert its technical progress in shrimp farming. 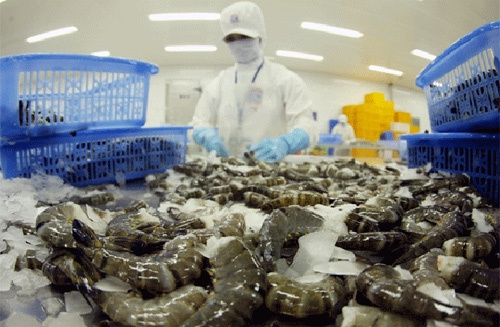 According to the Deputy Minister, during the meeting on September 8 the Australian side showed interest in importing frozen raw shrimp from Vietnam. The two sides agreed that in the fourth quarter of 2016, a delegation of Australian experts would make a fact-finding tour to Vietnam to investigate whether Vietnam meets the production requirements to export raw shrimp to their country. Tam expressed his belief that Vietnam could meet all of Australia’s requirements, as in recent times, the country has focused on investing in shrimp farming technologies and paid attention to controlling diseases and improving the quality of young shrimp. The working session also looked at measures to remove obstacles to the trade in agricultural products between the two countries, including fruit and cattle./.